MacDailyNews Take: By now, we can’t live without our HomePods. Wives, children, relatives, visitors – everybody loves them and, of course, Apple Music’s 50+ million-strong library! Multiple rooms, stereo-paired – gorgeous sound everywhere! 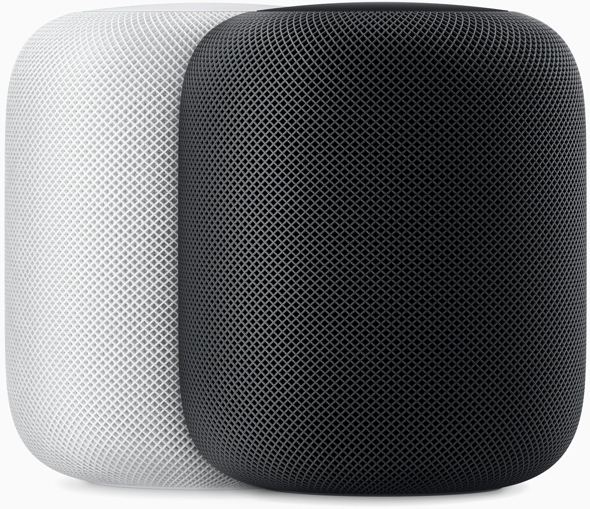 Hey, Apple, how about a weather-proof HomePod for outdoor use, too? BTW, a strong television ad or two for HomePod placed during some of these music competition shows (The Voice, The Masked Singer, American Idol, etc.) might be an idea worth considering, too. Still seems weird to see the words “Apple” and “on sale” mentioned in the same sentence. I have a stereo pair working with my Apple TV and big projector. Very good sound. I would like more volume. Hopefully a software update. I had a single one working with my Apple TV. Unfortunately when the software update came for stereo and I added the second one, the AppleTV remote stopped being able to control volume. Telling Siri to change my volume was a pain. Did you try to use the pull down menu at the top of the Apple TV screen?. It lets you choose audio source and that effects what remote. Make sure it is set to Apple TV. They are great as a single speaker. But to buy two just for bedroom tv that would be 600 bucks. Your better off with a small 5,1 system. It’s cheaper to. Love my HomePods. They have increased my music listening manyfold. I find Siri to be incredibly useful as well. One of Apple’s best products. Good for you those who are the blessed few who have had that experience. But for those of us who seem to have been forgotten by Tim Cook and Apple, have nothing to celebrate or complain about. Why is it taking Apple this LONG to release this product to the market for the REST of us. It’s SAD. I mean no disrespect, but could you please elaborate on how Tim Cook and Apple have forgotten anyone? Thanks!